Ambience roller blinds from Verosol Australia were installed as part of an office fitout project at the Woodside Petroleum building in Perth, WA. 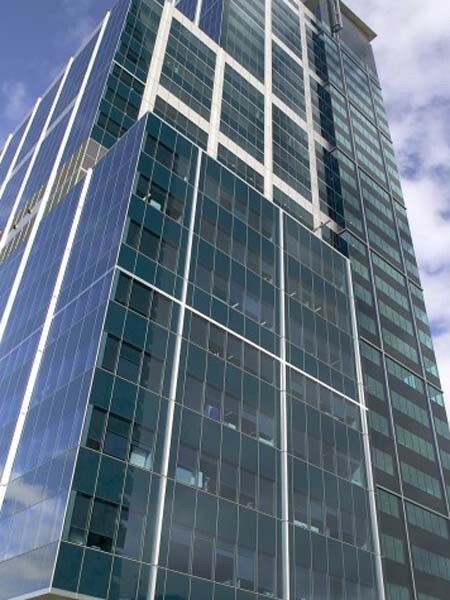 Located at 240 St Georges Terrace, Perth, the building is designed by Kann Finch Group with Baulderstone Hornibrook Pty Ltd executing the build. Ambience roller blinds featuring 231 Veroscreen G3 semi-transparent fabric in Charcoal Grey were installed in the building to reduce glare and ensure comfort for occupants without obstructing the view. The blinds are easy to operate and maintain. Verosol Australia supplied 3443 roller blinds from the Ambience series for the project.